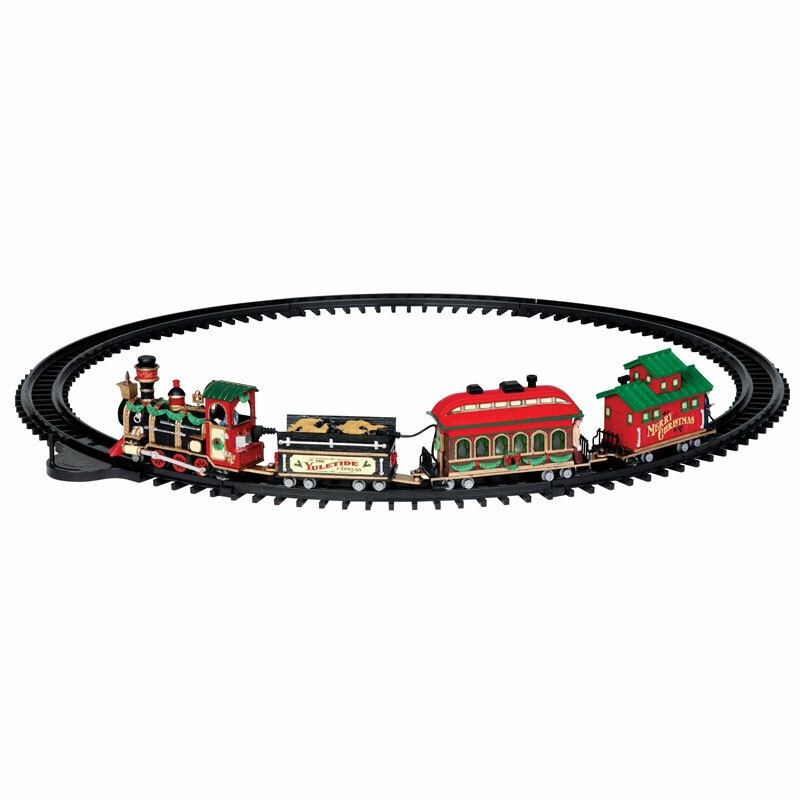 Lemax Yuletide Express (Set of 16) brings a delightful animated and musical Christmas miniature railway to your Lemax village display. Scaled and themed to compliment any Lemax miniature village, the Yuletide Express is a ready-to-run complete train set for adding movement and sound to your Christmas scene. The Yuletide Express is a popular Lemax collectors choice which joined the Lemax Caddington Village range in 2013 and has been a favourite ever since. Yuletide Express is battery operated, allowing this set to have placement in any choice of location indoors. Lemax Collectors have been known to place the busy Yuletide Express set around the base of a Christmas tree for the delight and wonder of children. Track set can be expanded by purchasing additional track sections to expand the size of the standard radius. Realistic train sounds accompany the movement of the carriages, with the addition of a spoken merry script that sounds out too!